Camping hacks make your life easier when you’re in the woods trying to enjoy the outdoors. Camping is all about reconnecting with the outdoors and being one with nature. Reaffirming your relationship with mother nature doesn’t have to be hard, all thanks to our ingenuity and resourcefulness. If you want to make your next camping trip easier and more enjoyable, check out these awesome camping tricks and hacks. You can make a fire easily and not waste precious time if you know several options for a firestarter. These firestarters will be helpful for your next camping trip. One of the most important things you need to bring in your camping trip is matches or lighters but there are times we missed to include it in our pack. Good thing there are other ways to start a fire than matches. Find out how and be the cool kid at the campsite. Cooking in the outdoors can be tricky. There will be instances where you can’t find a particular seasoning or utensil you need because your things are everywhere. Get everything organized and learn how to make an outdoor kitchen organizer. Need more light? No need to bring a big and bulky lantern. All you need is a translucent milk jug and a headlamp. This DIY lantern is one cool camping stuff which will illuminate your nights in the wild. Start your day right by having scrambled eggs for breakfast. However, carrying eggs in your backpack or cooler might break them. This hack will make cooking scrambled eggs easier for you without leaving any mess. You’ll never know when an accident may happen while camping. Be prepared without having to carry a lot with this DIY first aid kit. 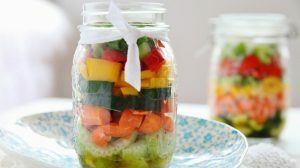 Keep your food fresh longer by freezing water in jugs. 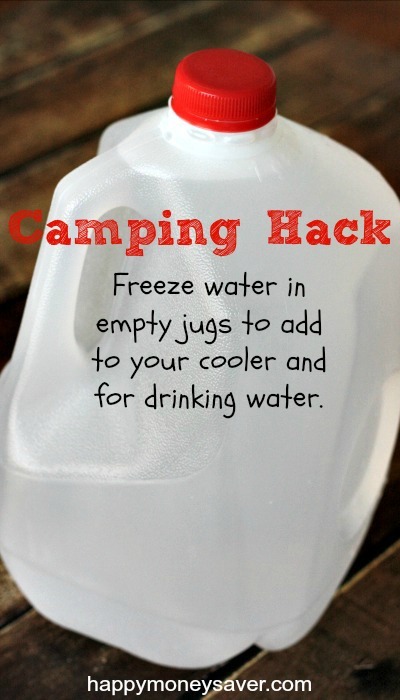 All you need to do is fill empty milk jugs with water and freeze it. Add it to your cooler before heading outdoors. This will not only save you money but you will also have cold water to drink when it melts. The weather can be unpredictable. A bright day in the woods can suddenly turn into a rainy outdoor trip. Be prepared and know what to do in case it rains. There can be instances when your phone will run out of juice and navigating your way out of the woods or to your campsite can be a bit difficult. You don’t rely on technology to get you where you have to be. All you need is a proper know-how to find your way in the wild. 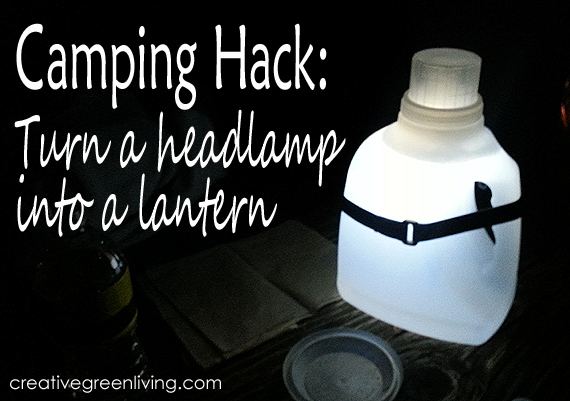 A camping hack for just $1 is very valuable. As they say, “take nothing but pictures, leave nothing but footprints.” Treat mother nature with utmost respect and don’t leave your trash just lying around. Always maintain cleanliness around your campsite. We all know the importance of hygiene in our everyday lives regardless where we are, but it can be a challenge to bring soap along for it can leave a mess in your backpack. 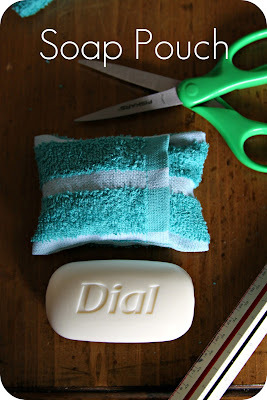 Don’t get soap on everything by making this easy sewing project. There are a lot of surprises in store for you if you wish to experience wild. Capture those precious moments and amazing wildlife through your camera lenses. Pizza in the wilderness? Yaasss! You can still savor your favorite pizza recipe even when you’re out in the wild. Since pizza parlors don’t do deliveries in the woods, learn how to make your own with this recipe. You don’t compromise your snacks when you’re out in the wild. You can still eat healthy, mouthwatering food with these easy camping menu ideas. Make your camp food more enjoyable and easy to prepare with aluminum foil. Flavor-packed meals can turn your camping trip into a more delectable experience. Duct tape can be a satisfactory solution for just about anything, provide you a little ingenuity. It can repair a tear, you can make a rope out of it, a fly trap, a temporary ankle strap, and the list will go on and on. However, carrying it can take some precious space in your backpack. So instead of rummaging through your backpack to find a duct tape, you wrap it around a water bottle. It can save you space and it will easier for you to find it when you need it. 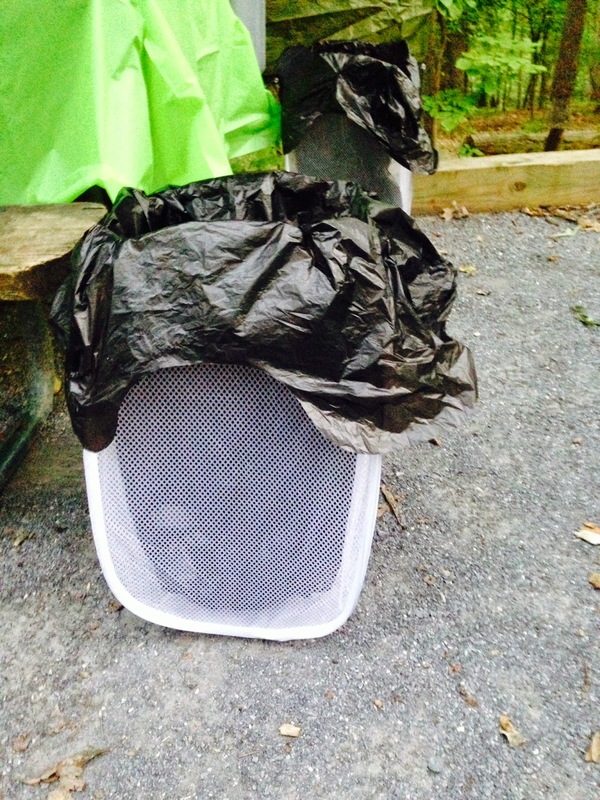 One of the most common problems of a camping novice is packing. To a beginner, packing their camping gears and clothing can be a bit daunting. As much as possible we want to save space when packing for your trip. Rolling your shirts and putting them inside your socks is a great way to create more space inside your pack. This is one of the most useful camping tricks for beginners and an awesome refresher for seasoned campers. These camping hacks will make your next camping trip more convenient and exciting. If you are armed with ingenious camping hacks, things will be a lot easier when you’re left at the mercy of mother nature. When you are prepared and knowledgeable, you can handle anything life throws in your way. Have a safe trip! Do you know more camping hacks? We would like to know more about it. Share us your thoughts in the comments section below! Editor’s Note – This post was originally published on April 15, 2017 and has been updated for quality and relevancy.